JUST REPRICED FROM $30,500, FUEL EFFICIENT 30 MPG Hwy/22 MPG City! Superb Condition. T6 Drive-E Platinum trim, Seashell Metallic exterior and Soft Beige interior. Nav, Leather Seats, Sunroof, Satellite Radio, Premium Sound System, Bluetooth®, iPod/MP3 Input, Panoramic Roof, Alloy Wheels, Back-Up Camera, Power Liftgate, Serviced here at Galpin, Originally Sold at Galpin, Comes with Galpin's Lifetime Used Car Warranty. Leather Seats, Navigation, Sunroof, Panoramic Roof, Power Liftgate, Back-Up Camera, Premium Sound System, Satellite Radio, iPod/MP3 Input, Bluetooth®, Aluminum Wheels, Keyless Start, Dual Zone A/C, Brake Actuated Limited Slip Differential. Rear Spoiler, MP3 Player, Privacy Glass, Remote Trunk Release, Keyless Entry. Volvo T6 Drive-E Platinum with Seashell Metallic exterior and Soft Beige interior features a 4 Cylinder Engine with 302 HP at 5700 RPM*. 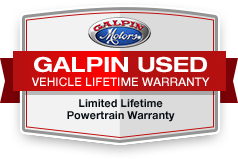 Serviced here at Galpin, Originally Sold at Galpin, Comes with Galpin's Lifetime Used Car Warranty. Edmunds.com's review says "Another Volvo hallmark is the sublimely comfortable and supportive front seats. The rear seat is particularly roomy as smaller crossovers go, with a high seat cushion, above-average headroom and decent legroom for adults.". Great Gas Mileage: 30 MPG Hwy. All figures are EPA estimates. Actual mileage will vary. Kelly Blue Book values are calculated based on the current Retail Book. Pricing analysis performed on 4/22/2019. Horsepower calculations based on trim engine configuration. Fuel economy calculations based on original manufacturer data for trim engine configuration. Please confirm the accuracy of the included equipment by calling us prior to purchase.